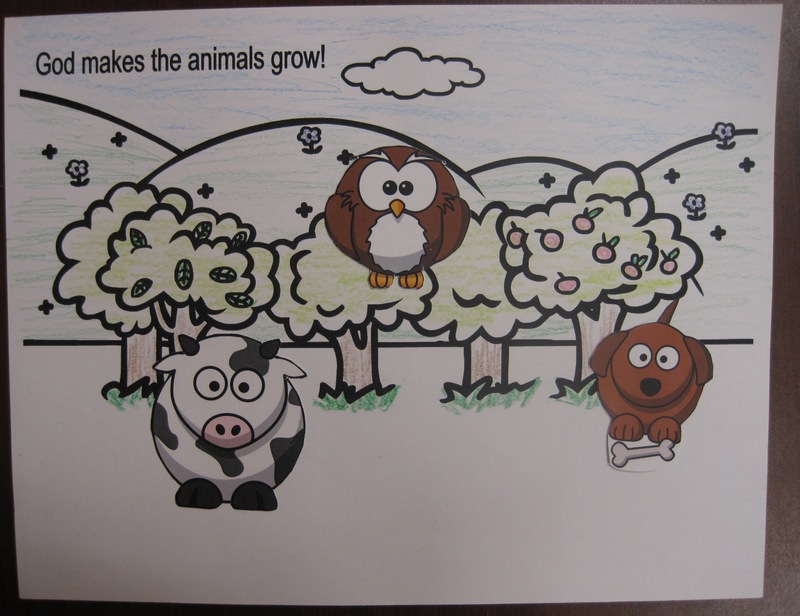 Kids love animals, and crafts are a great lesson option. 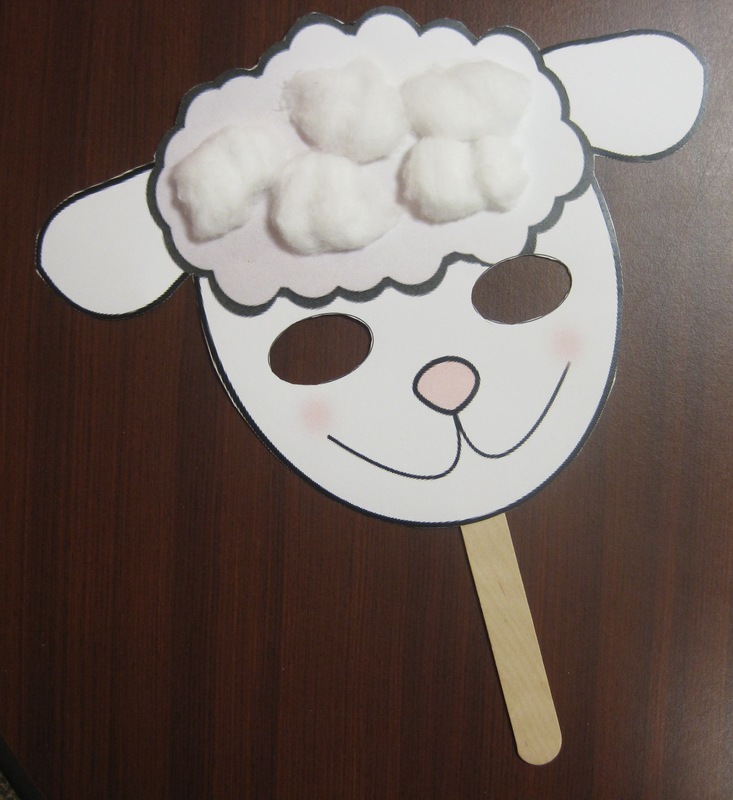 But, it can be challenging to find crafts for kids who are ages 1-3.
http://www.clker.com/clipart-smiling-good-sheep.html this is a very easy craft to pull together and the kids love it. Print the mask on cardstock to make it sturdy. Add a craft stick, some cotton balls, and a glue stick, and you have yourself a lamb mask! You can easily create the background for this coloring sheet by drawing some wavy lines for water and adding an oval shape on the side for land. Type the words “fish coloring page” (no quotes) into Google to find a fish. Do the same for the bird and the sun and add them to your coloring sheet. These fish, the bird, and MANY other adorable animals can be found at Bible Kids Fun Zone. Then all you need are a feather for the bird, blue tissue squares for the water, crayons, and a glue stick. This craft is similar to the one above. It takes a little work to make the coloring sheet but you can do it! The background came from Boowa & Kwala. You’ll need to edit out the goats using a desktop publishing program (I like Gimp but you can also use the Paint program that comes with your computer.) or simply white them out and make a new copy. I LOVE these animals. They are done by someone who goes by the name “lemmling” at openclipart.org. Preschoolers love crafts they can play with. Take an envelope and some animal cut-outs and you can make a variety of crafts. Create a cut-out of an ark, a barn or fence, a zoo sign, trees, tall grass, or any other structure where you might find animals for children to glue on the front of the envelope. Add a rainbow, star, or other sticker to the envelope flap. I can’t find the link for the ark I used but there are plenty of good ones out there. Check out the ark at Sunbeam Printables or this one at Family Crafts. For black and white animal pairs like I used in this picture, go to Brookie-Lee.com for a pdf of some great animals. 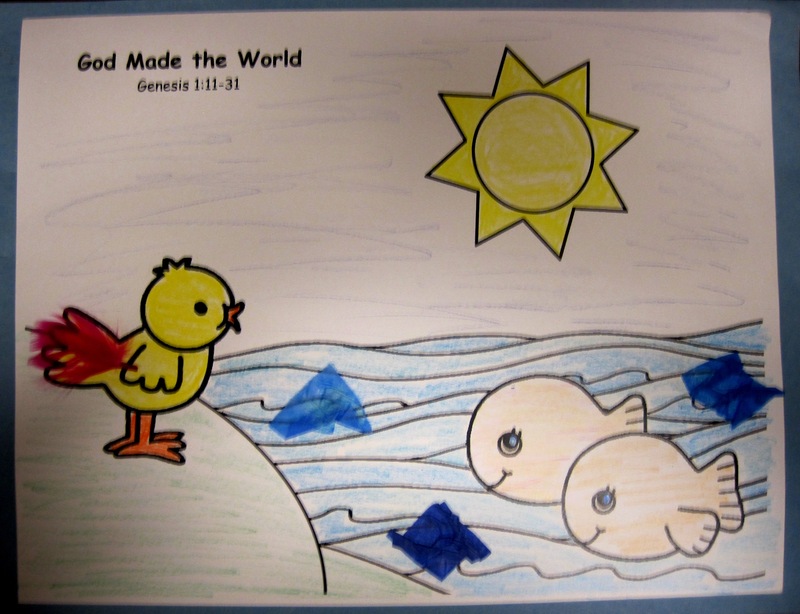 The Noah in the picture came from the Really Big Book of Bible Story Coloring Pages which I couldn’t live without! Or, find a full-length Noah online that you can cut out, like this Noah. 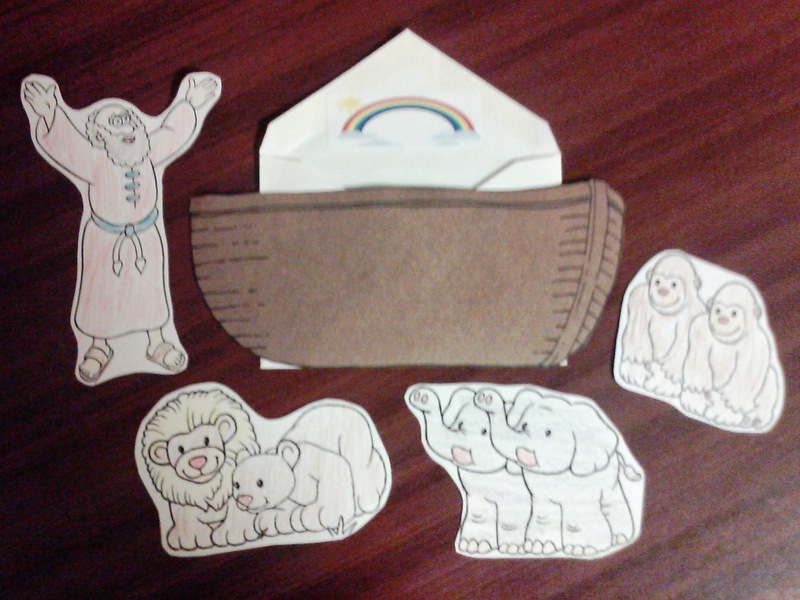 In class, children color Noah and the animals, glue on the boat, and add the rainbow sticker to the flap. Act out the story by showing children how to put Noah and the animals in and out of the boat. Oriental Trading has Noah’s Ark stickers on a roll if you’re looking for animal stickers. Yes! Definitely. I had difficulty finding where they originally came from. Pingback: “Serving the Least of the Brethren” Sunday School Lesson, Matthew 25:31-46, February 15, 2015 | Word For Life Says . . .